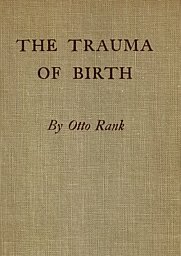 Otto Rank's book on the subject the trauma of birth provides valuable insight into depression, especially when it arrives when one is under pressure as usually the case when one is transiting the birth canal. These links are places where I have referenced Rank's book in my various writings. Do you feel like you're under intense pressure in your life? Are you fearful? Angry? Anxious? Feel down or upset by everyday occurrences? Plagued by chronic discomforts like migraines or tension-type headaches? Want happy endings from now on? At Last! Break every rule and discover and apply for yourself this amazingly simple 21st Century approach to removing unwanted physical body states without surgery, drugs, or psychotherapy!